Do I need to be a member to vote? No! 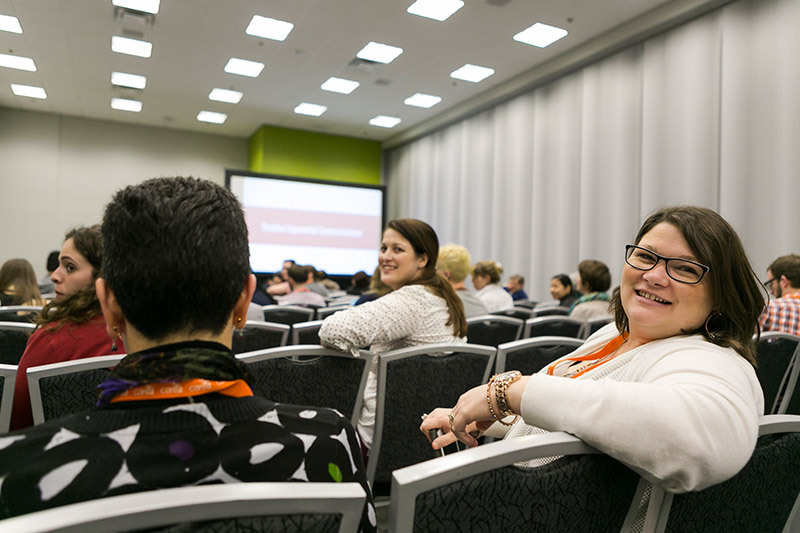 We encourage anyone with an interest in the Nonprofit Technology Conference content to create an NTEN log in and vote for the sessions that they would most like to see become a part of the NTC. Yes. This allows us to ensure individuals can only vote once on any given proposal and can change their votes throughout the voting period. Anyone can create a login; membership is not required. Yes. At any point, you can log in and change your votes on any of the proposed sessions. No. Users can see only how many votes a particular submission have, not who is associated with those votes. Use the search box in the upper right-hand corner to search for categories, terms, keywords and session authors. Filter on relevant tags to see related submissions. I was listed as a co-presenter on a session. Why am I not showing up in searches? The “additional information” field is not included during the public voting. Your participation will still be considered during the NTEN curation time frame. Are sessions listed in alphabetical order? No. The session list you see has been randomly ordered to help eliminate bias. We store the randomization which has been uniquely selected for you in a cookie, so as long as you don’t clear your cookies, you’ll continue to see the same random order list. We encourage you to share sessions you are excited about in social spaces to increase the chances of them being included in the final program. We discourage participants from engaging in “voting campaigns” around ideas they have submitted (such as sending out email blasts,) as this is focused on individual sessions and counter to the goal of gathering feedback on the overall program and content the community wants to get at the conference. Can proposals be edited once voting is open? NTEN is able to help clean up obvious typos if requested by the proposal submitter, but no other changes are allowed once voting has begun. Final selection of sessions is based on two things. A ranking by the total aggregate score for each proposal (60% community vote, 40% Session Advisory Committee vote). Ensuring a balance of topics from the top-ranked sessions. For example, even if 10 sessions focused on Google Analytics were in the top 100, only 1 or 2 would be added to the program to make sure the final program covers the appropriate range of topics.